I have mixed feelings about this podcast. When I started listening a year ago, I loved it. Kristen and Jolenta are mostly good company and entertaining to listen to. And although Iâm not a fan or a reader of self help books, I thought the concept was intriguing. But things got a little intense (for my taste at least) during the season when there was a lot of discussion of past traumas in both K and Jâs lives. I was impressed by their honesty and bravery in confronting these issues, but at the same time, the fun of the podcast got lost. For several episodes, every book was evaluated in terms of those particular experiences and concernsâit was like they were just going through the motions of the books, but they really wanted to just talk more about their healing processes. I get that when youâre dealing with a personal trauma, everything gets filtered through that lens. But as a listener who is mostly interested in the humor and lighter stuff, it was wearying. I still enjoy the show but I donât rush to listen to every new episode immediately, the way I used to. I love this show and have been bingeing through the seasons over and over.Theyâre relatable, hilarious, and I canât wait for each episode to come out. It doesnât matter what book they live by, there is always something to enjoy and probably learn from their experiences. I think Iâm using this podcast both as pure entertainment and a way not to have to read these books myself. Jolenta is soooo me when it comes to self help, sarcasm, and woo woo. But also Kristen is who I want to be on the outside. Loving, supportive, and optimistic. Maybe I should try to be those things on the inside too. Mehh Câest la vie! Great topics and great hosts! I am so happy Iâve started listening to this podcast. So many of the books Jolenta and Kristen have lives by are on my to read list. I love hearing about what they thought of them and how living by them went. Now there are some off my list and others I am even more excited to read! Also, both ladies are funny and gotta love the husbands too! I'm enjoying this list of self help books, each episode reviews one book, then each presenter reports back after 2 weeks of practicting what each book recommends. I really love the idea of this program -- two friends reading self-help books and trying out the advice. And I really tried to listen to this, checking out a half-dozen episodes. But the hosts are horrible to listen to. They're whiny and boring and self-indulgent. And the faux-modesty is a bit much. If they really had as little confidence as they claim, how would they ever have the guts to do a podcast like this? Spare me. And spare yourself from a terrible listening experience. Cracking Up & Learning Something Too! I have been power listening to By The Book for the last couple of days and I have cracked up, felt very touched and learned a whole lot of really interesting and informative things that I can apply to my everyday life. These two gals are hysterical but they're both very smart and lay out a lot of vulnerability all while cracking jokes and supporting each other on these mini-journeys. I'm SO glad I stumbled upon this podcast and look forward to listening to many more. Keep up the great work! I wanted to like this. I am a cynic who wanted a good laugh as I have read some of these books, tried them and after awhile thought they really didnât work. And I love to judge self help books. But at least I had a positive attitude when I was reading them and tried to give them a chance. How exactly do you think these are going to work for even 5 seconds when you both start off hating and judging ground zero. I listened to the first 2 episodes, skipped to the miracle morning and was what is the point!!! You hate this before you even start. And now unfortunately I see no point in listening as you truly do not offer your listeners anything worthwhile. These ladies are hilarious and real. All the character attacks against Kristen are awful - sheâs just being herself and if you donât like that, unfollow and move on. No need to personally attack her views and label her.The way that Kristen supports Jolenta shows that she is a supportive, kind person. She seems like someone who is always there for others and goes out of her way to help any and every one. Jolenta, on the other hand, is funny and relatable on so many levels.Keep it going, ladies! Donât let the haters get you down. Better for woman, or non white straight men. I liked a lot of the episodes and Iâm aware of my privilege to a degree, but some of them left me feeling like sh** for existing. Due to the hate on my being(white straight man).That being said giving it 3 stars because most episodes were good, funny, and helpful. :) Iâm still however going to unsubscribe as I am privileged enough to try to remove negative influences from my life. Good luck though ladies!!! Iâm a self-help / personal development junkie who loves this show! Itâs helpful to hear a distilled version of the strategies outlined in each of the books Jolenta and Kristen read, and always fun to hear about their experience of putting them into action. I appreciate their feminist critique and willingness to share openly and honestly, especially in their audio diaries. I admire both for being raw and vulnerable about their past traumas and current challenges. Itâs clear how much time and prep goes into each show, and Iâm a fan! Funny, self-help, and entertaining- WHAT?!?! I love this pod! Two amazingly sweet ladies reading and living by self help books. So funny, helpful, and amazingly real! Beware, donât take this too seriously and remember to live your own life, but enjoy and learn a little as you are entertained! At first I wasn't sure about this, but now I find that I'm enjoying this podcast a lot. And feeling a bit sorry for the husbands, for sure. One thing that would make this better to listen to - consistent volume levels. The non-studio audio tends to be at a much lower volume, so you have to turn up the volume to hear it well, but then you get blasted when it's back to the studio. Stitcher, you're trying to become a podcast heavyweight, so get the production quality more consistent please. Great content needs great production values. I really enjoy this podcast and have learned so much from these ladies tearing through the self help books I donât want to. Most of the books they read require involving their partners BUT I get a little sick of Brad and Deanâs frequent appearance - I wish Jolenta and Kristen would widen their world in the podcast and have more friends, colleagues and everyday interactions involved.Truly a personal gripe but I find myself turning it off sometimes because thereâs a lack of variety in terms of involved parties.Otherwise, love the show. Kristin & Jolenta are so funny. I love listening to them live by each self help book and talk about how it affected their lives. A must listen! Stop making fun of the books! Funny and educational - what's not to like? The hosts are engaging, the subject matter is interesting, and even my husband enjoys this one. He turns up his nose at everything else I listen to, which is mostly politics and technology. Listening to this podcast feels like hanging out with your best friends. When the show is between seasons, I miss it just like a friend who has moved away and weâre waiting to see each other again. I love listening to this show! Itâs a great concept and itâs really well done. The hosts are hilarious and sincere. Itâs really fun to hear their take on the books they live by. Just came across the first episode and love it already! Iâm a fan of self help books, the chemistry between the friends are amazing, and they make me laugh. Downloading more episodes! I used to really love this podcast. I think Kristen and Jolenta are very talented, however every time I listen lately it seems very man hating and blaming the author for being stupid if it doesnât align with their belief system. In my opinion from listening for many many episodes, they only give the book a fair shake if the already agree with the message or like the author. If a man has written the book good luck! I suggest reading the books yourself rather than listening to this podcast. I really enjoyed the first episode and recommended the podcast to a friend. However, after listening to many more episodes, I retracted that recommendation. The first reason is the Christian bashing by both hosts. Secondly, it just got very boring. I love self-help books but I would much rather read them myself and make up my own mind about them than to listen to their reviews. Iâm loving every second of this podcast. I see so much of myself in Jolenta and hope she finds these books helpful in her life! I literally listened to all episodes (all 3 seasons) within 3 weeks. I listened while I was driving, brushing my teeth, washing dishes, etc. As a 30-something, Iâm always thinking of ways to improve my life and this podcast help me do that in the following way:1) I get the overview of all these self-help books without having to read them AND I get to implement what I feel is relevant2) I laugh - a lot! Jolenta and Kristen are unapologetically honest and authentic and funny! 3) the hosts husbands also chime in and they are such nice people. Itâs hard not to love them.I highly recommend this podcast! Thank you Jolenta and Kristen for brightening my days! While the premise is a bit quirky, I LOVE how the hosts handle the books. They talk about the different self help books in insightful ways that are generally humorous and have a positive outlook, but are serious when need be. They donât hold back the affects of the ideas from the books on their lives either, which I love and is something I rarely see. Listen to this podcast if you want to hear women at times humorously and at times seriously (but always with care and insight) talking about themselves, their lives, and how self help books are a total mixed bag. Both entertaining and efficient - the best! I just discovered this podcast and am now backtracking to their first episode because this podcast is totally worth it. Itâs fantastically entertaining to the point that I can do 6am workouts listening to this... As a fanatic for self-help books but with a strong BS detector, Iâm super appreciative of these like-minded authors who summarize these top self-help books and candidly share their experiences living out the booksâ advice. This is THE podcast I never knew I missed! So thrilled to have discovered it! I found this podcast during a rough time in my life and it provided me a lot of comfort and soothing. This is such a delightful concept, and Kristen and Jolenta bring equal doses of humor and candid realness. My morning commute wouldn't be the same without it. Regardless of the self-help book that they subject themselves to, Kristen and Jolentaâs combination of humor, personality, and barnyard language makes for great entertainment. This has become a favorite when Iâm just floating around my house. Iâve done exactly zero of the things theyâve done, but I love listening to them and I love that they take a realistic look at all these self help books that have never done anything for me. I love these two women. I just love them. Thank you both for your humor and your generous, courageous openness. The episodes are entertaining and often moving â even when the books are not good. I love self help books. When I saw they did Girl Wash Your Face, I had to listen to it first to see if their opinion jived with my own. ð once I heard this episode, I knew they were my people! They really live each book fully and give honest opinions about how/if it affected their lives. I'm so happy I stumbled upon this podcast, while the concept of this podcast is very entertaining, it is really the hosts that make this podcast special. They genuinely seem kind, funny, vulnerable and brave. I really feel like everyone could learn a little from listening to the shared conversations with their spouse ( AMAZING communication skills) and the many ways they tackle the obstacles that come their ways. In my humble opinion, they are good role models for a lot of us. I heard about this podcast from Gretchen Rubin and itâs a fast favorite. Iâve been listening to it all week. I love the hosts so much and their husbands are such a happy bonus. I wasnât impressed by this podcast. At least with the episode I listened to, the podcast starts with a nice summary of the book but then they tore into the author making assumptions on their approach.I give them praise for âtryingâ to live by the rules of the books however youâre less likely to find success in any method if you approach it with a negative outlook from the start. Not to mention that a 2 week trial is far from the standard when implementing a new behavioral change. Iâd argue that youâd need a longer period to implement the practices before you see compounding results. I love this podcast! Thank you, Jolenta and Kristen! I seriously love this podcast! 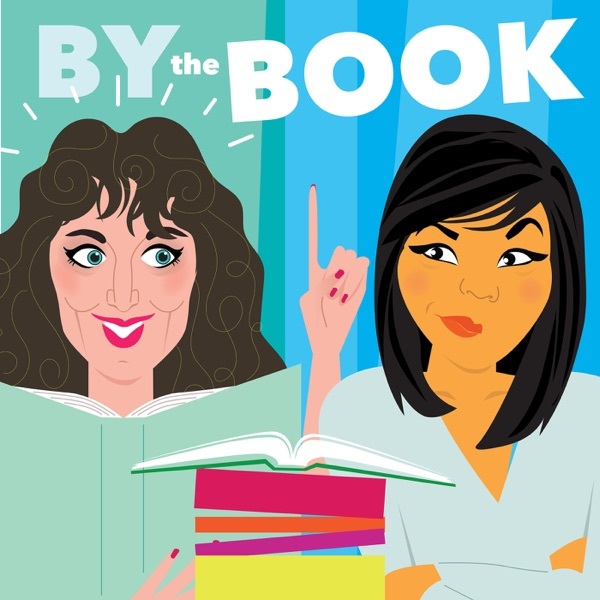 By the Book is entertaining, thought-provoking, and moving. It gives me insights about which books I might want to pick up (or which ones I might want to leave at the store). It makes me laugh, and has also brought my to tears. Especially after a recent episode, I was deeply moved by Jolenta and Kristenâs bravery and honesty in sharing personal experiences that many people would find challenging to talk about. I am grateful to learn more from your perspectives. Thank you for all the work you put into this podcast, for going out on a limb and trying these books, and for sharing parts of your lives with us. I seriously cannot get enough of these ladies! Every week they put out an episode this is one of my nicest treats for the week. Jolenta and Kristen offer such great perspectives, give insightful reflections and do great work to breakdown the spectrum of self help literary genre. You ladies are fabulous and funny! This podcast is pure fun and the discussion of different self-help techniques is so interesting! I loved this podcast. I binge listened through to the 5 Love Languages episode. Then I hit a roadblock. The extreme judgement from Kristen in the 5 Love Languages episode was so off-putting I couldnât even finish the episode. I heard about this podcast when I listened to an interview with these ladies done by Cathy Heller, and I thought the premise of the show sounded kinda boring. BUT, then I was bored at work and decided to give it a go. You guys are so effing hilarious!! I am binge-listening to this right now with my earbuds and laughing out loud! Iâm pretty sure my co-workers think Iâm crazy. I love your âbarnyard languageâ and how unapologetically you are yourselves on the show. I am a Minnesota girl so I feel you! Please donât stop being you and please donât stop recording these! I absolutely love Jolenta and Kristinâs perspectives on each book. They are the epitome of complimentary opposites. A lil bit of WooWoo and a lil bit of constructive criticism/realism. Also, as someone who is educated in psychology and behavior, I dislike when statistics or facts are skewed or misused. Hearing them talk about the issues of some really popular self help books gives me hope that people are reading many of these books with a grain of salt.